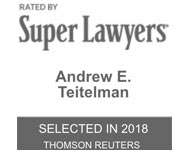 At Teitelman Law, we believe that quality legal services can be delivered to residents of Oregon and Washington at affordable prices. Contact us today by calling 503-659-1978. Legal Notice: Neither by accessing this site, nor by reviewing its contents nor by submitting any forms found on this site has an attorney-client relationship been formed or established; and nothing contained in this site shall constitute the giving or rendering of legal advice or be construed as a legal opinion, or guarantee of a particular resolution of a legal problem. Information is provided as a public service, and is not intended to be a substitute for competent legal counsel. The information provided is general in nature and may not apply to your circumstances. Under no circumstances should you make legal decisions solely based upon the information provided on this web site. You should consult an attorney before making any important decision involving a legal matter. 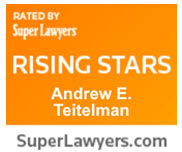 The attorneys at the Law Office of Andrew E. Teitelman are licensed to practice in Oregon and Maryland.